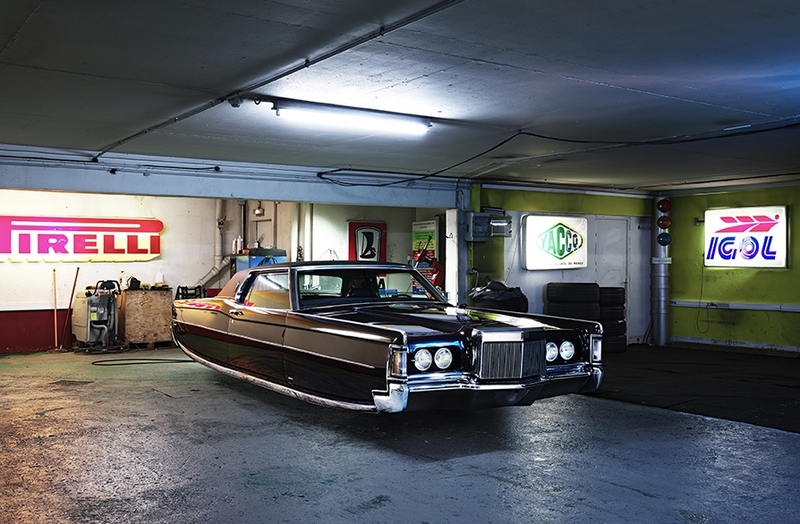 The future has arrived, and it comes in the form of nine visionary images of ‘flying’ cars from the series Air Drive by French photographer Renaud Marion. Taking cues from his childhood imaginings and inspired by science fiction films and artists, Marion depicts his vision of futuristic transportation of wheel-less cars serenely suspended above the ground. But he has included an interesting twist. While the vehicles’ levitation most definitely smacks of sci-fi, the cars are in fact modified vintage classics, including Chevrolets, Mercedes, Jaguars, Aston Martins and Porsches. Motivated by the idea that “our dreams of today are the reality of tomorrow,” and his quest to create the flying cars of his boyhood imagination, Marion developed the unique concept for his Air Drive series. Currently exhibiting at M.A.D Gallery.